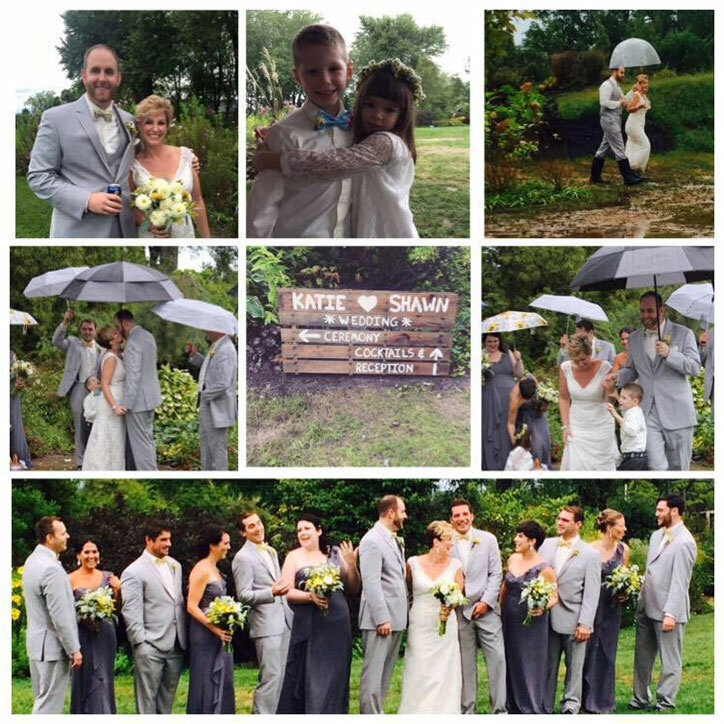 Rain on your wedding day is long fabled to be a sign of good luck…these two will be married forever and more. The beautiful bride beamed all day long, no way was a little wet weather going to dampen her special day! A pig roast, crab cake & caprese sliders, martini mac & cheese, farm fresh corn and veggies made for a memorable menu. Locally brewed beer and fresh squeezed cocktails kept the bar on trend. Specialty cake shooters perfectly accented a low key wedding cake. We can’t wait to get back to our preferred venue Paxson Hill Farms! Their rolling greens, the hobbit house, and so many other rustic details makes this farm a hidden treasure.